Toddler: I only like the good guys though. Me: Oh, that’s not a bad thing. Who is your favorite good guy? Needless to say, it was a great afternoon. In this dark fantasy, there was a huge blood plague during the Renaissance era that killed thousands of people. Those who survived the plague (malfettos) were left scarred, often embarrassments to their families and communities. 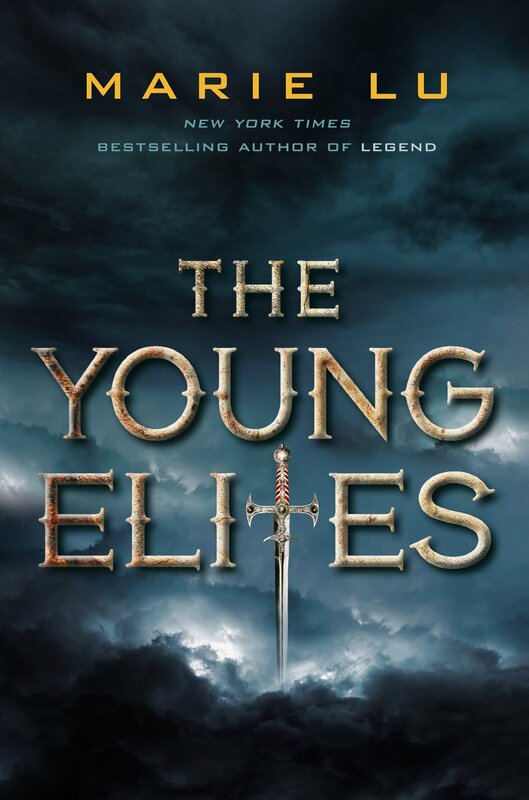 Now these malfettos are being cast from society by royal order, but the Young Elite, a group of survivors who gained powers in addition to their scars, are fighting to end this treatment. Adelina, their newest recruit, has trouble containing herself when it comes to her newfound abilities. Having suffered emotional and physical abuse at the hands of her father for so many years, her power is too rewarding to hold back. I thought the book was…pretty decent. A little too flowery on the romance for me, but I tend to stray from sappy romance plots anyway unless they are handed to me stuffed inside a John Green novel with a side of tissues—I’m looking at you, TFIOS. The action is good, the powers are fascinating, and the political plot has some great hypocrisy mixed in that has the potential for great discussions in this, the time of Crayola Macaroni & Cheese combovers running for office. The teens (in my book club at least) really enjoyed the romance aspects of the novel, but got the most enjoyment from anti-hero Adelina. They liked that they didn’t have to agree with her actions, but could understand where she was coming from. She never seems to do what’s right for others, often thinking only of herself, but because they had insight into the horror that is her past life, they couldn’t help hoping that she’ll come out on top as the series continues. I give The Young Elites a B. If you’re tired of the fantasies and/or dystopians set in the not so distant future or heroes who always seem to do what’s exactly right, I’d recommend giving this a try. Teens will likely eat it up, especially if Lu’s other series, Legend, is popular. The sequel, The Rose Society, comes out on October 13.